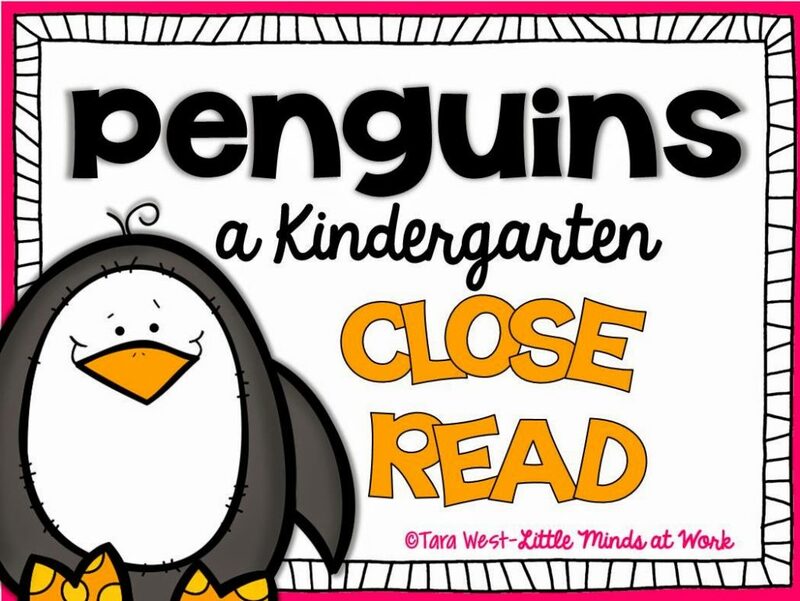 Thank you so much for joining Lyndsey and I this summer for the close reading book study 🙂 Today I will wrap up the final chapter: close writes! If you missed chapter seven, Lyndsey did a fabulous job…you can view it HERE and grab some adorable freebies! Alright, onward with chapter eight! I know I say this a lot, but I really connected to this chapter. The author started out by discussing the importance of writing in our schools, but the fact that not everyone has acknowledged to the degree it should be. A National Commission on Writing article stressed, “an urgency of writing is a key to transforming learning in the United States.” More and more we are seeing a need for higher quality writing instruction…or more, just allowing the students ample time to explore and create! The author states that we have had this “rush to raise the reading achievement.” In doing so writing has not always been as of much an importance in classrooms. The author also stresses strongly that there should be a defined reading-writing connection. How does this reading-writing connection work? “Students read in order to learn about the world around them, while they write to express that learning in ways that are personal and unique to them” (Sisson and Sisson). 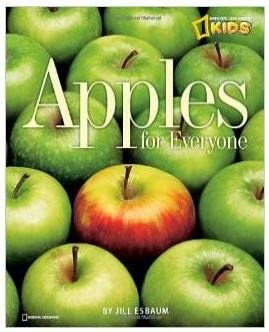 The authors also emphasizes that the literature we are using for the reading-writing connection must be of high-quality, mostly being that of nonfiction texts. The authors state, “good writing comes from quality texts.” See below for a graphic of the reading-writing connection. The text then goes into the close write frame works for each genre…the nuts and bolts of this chapter? Writing is equally as important as reading, if not MORE important. 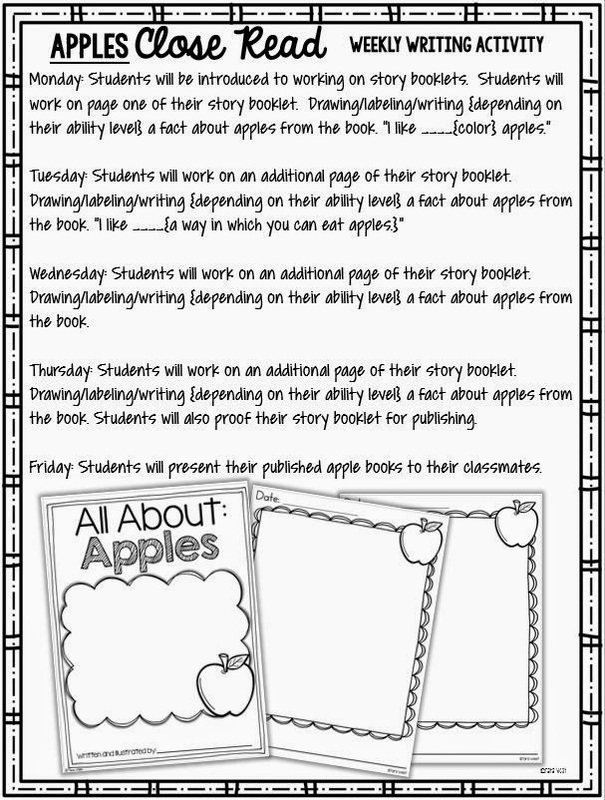 Attempt to establish a reading-writing connection throughout the weeks. Lastly, be open to changes in writing instruction which are more than likely going happen…change your instruction techniques if it’s what is best for your class. As I’ve mentioned before this book tends to lend itself to the higher grades when it comes to examples. My mind has one gear, Kindergarten! So, I wanted to share with you the reading-writing connection in a Kindergarten classroom. 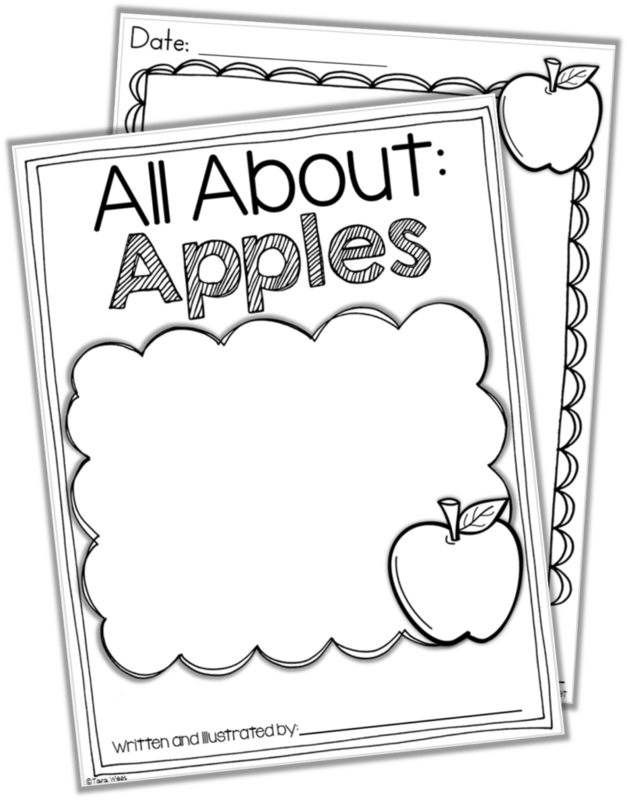 Awhile back I shared a Back to School Writing freebie packet that was aligned to my close reads! 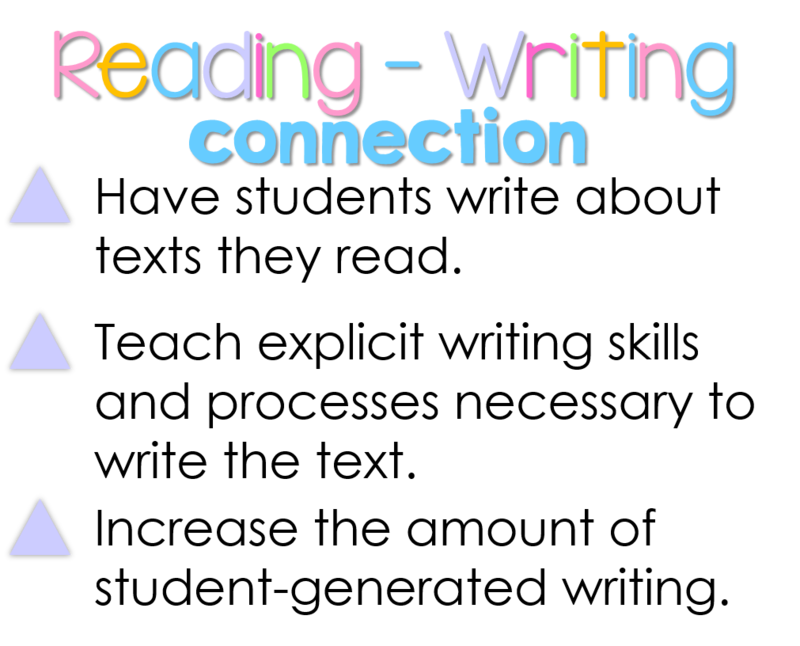 I want to share with you a reading-writing connection week! 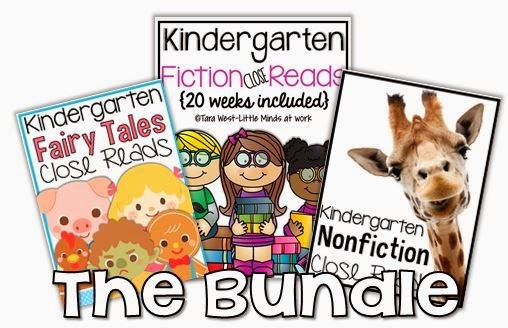 This close read-writing connection is using the following text and is designed for beginning of Kindergarten…more like the first month or two! The connection does not have to be something of extravagance! Just a way for the kids to connect to the close read and then to their writing! 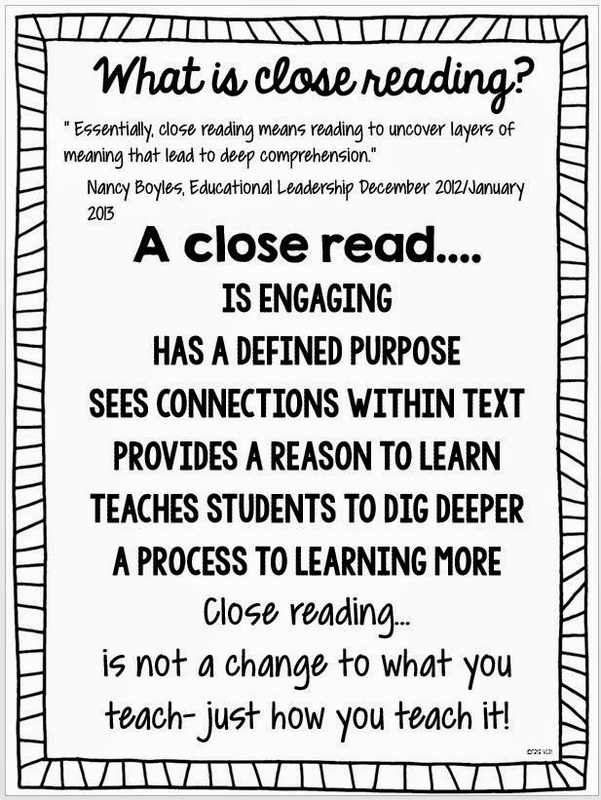 What I noticed last year as we experimented with the reading-writing connection is that kids LOVED writing when it aligned to the close read. When we did “themed” writing they were some expert writers…naturally adding details and backing up their ideas. Now when I say themed writing…it wasn’t as explicit as the above lesson plan above is mentioning …more like write one fact about the moon, compare a toad to a frog, write how you grew and changed like the tiger…etc. It was “loose” in that they could expand their story completely on their own. 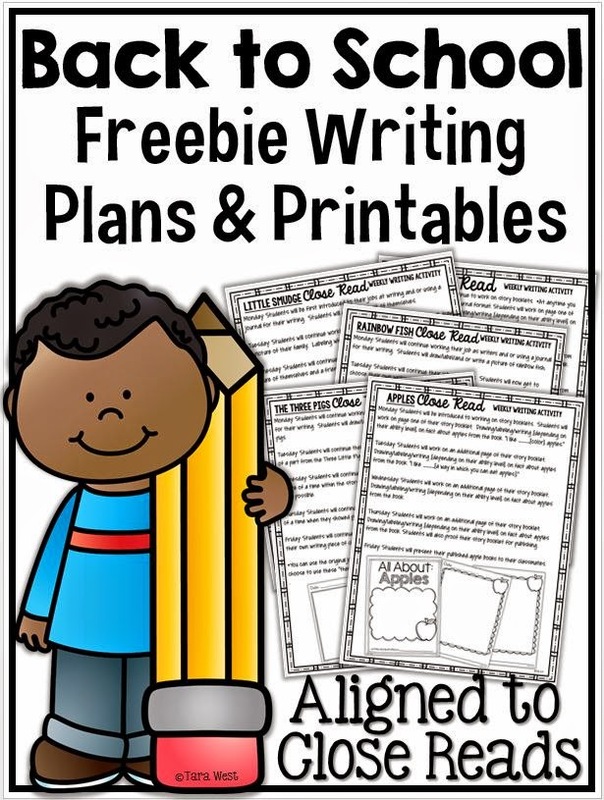 You can download the freebie close read writing plans below. 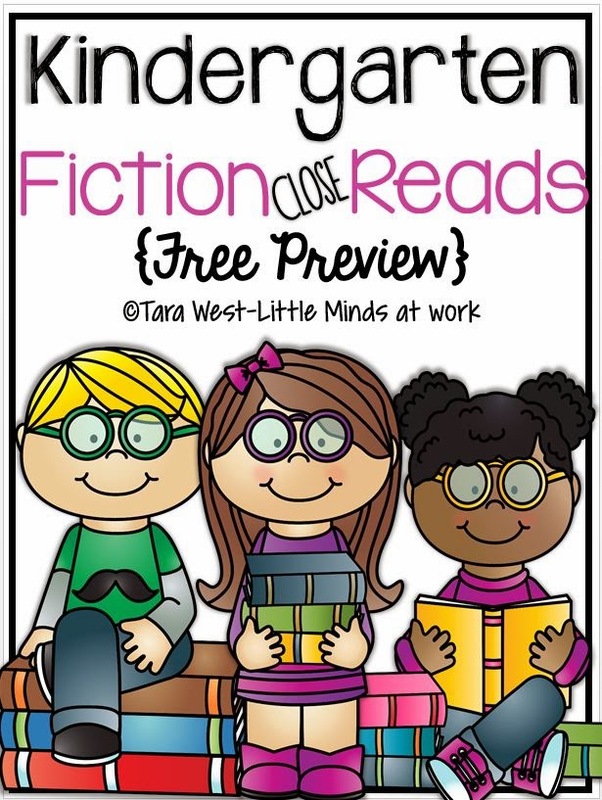 If you are new to close reads I offer a freebie nonfiction and fiction version below! You can also view more information on this MEGA close read post! Click the image below! 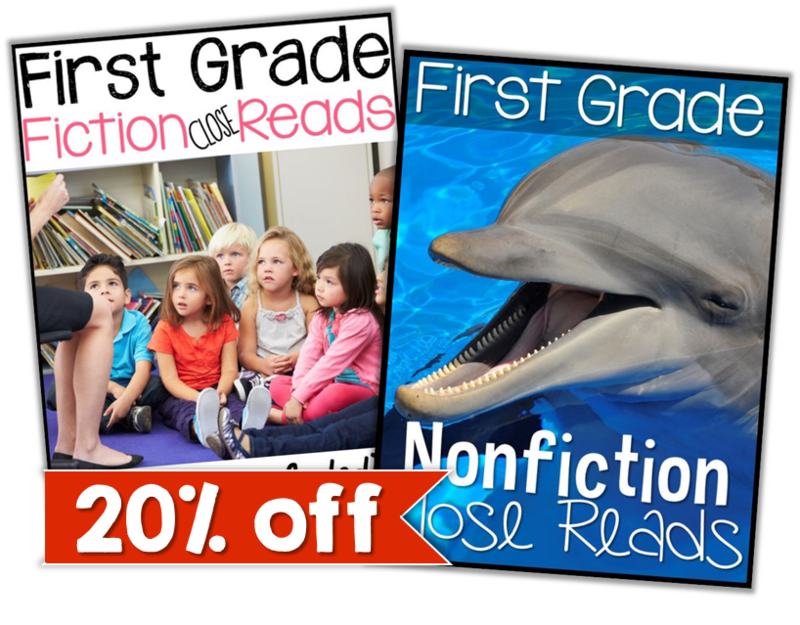 Also, all of my close read packets are on sale for 20% off through Tuesday, July 29th!